There are some little known keyboard shortcuts that can be very useful when entering repetitive information. 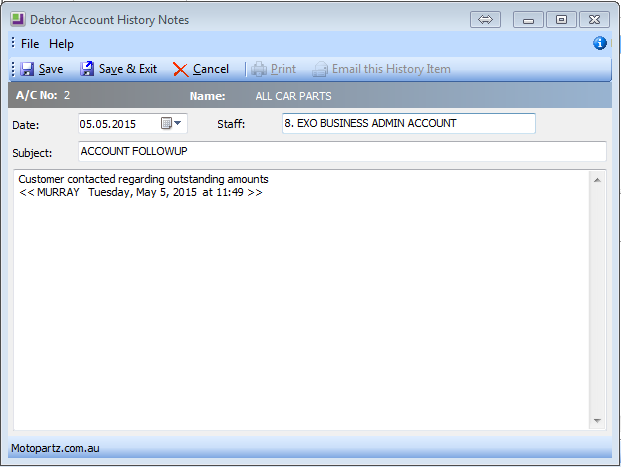 History Notes are found in many areas in EXO like Debtors, Stock and Opportunities etc. and are very useful as a date stamped and structured notepad. 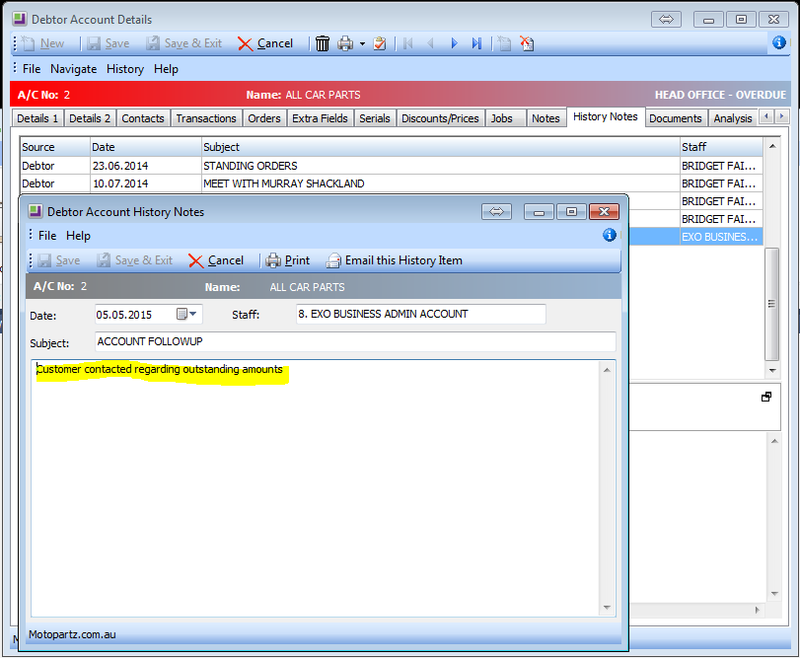 This makes it easier to search for previous notes related to the debtor. 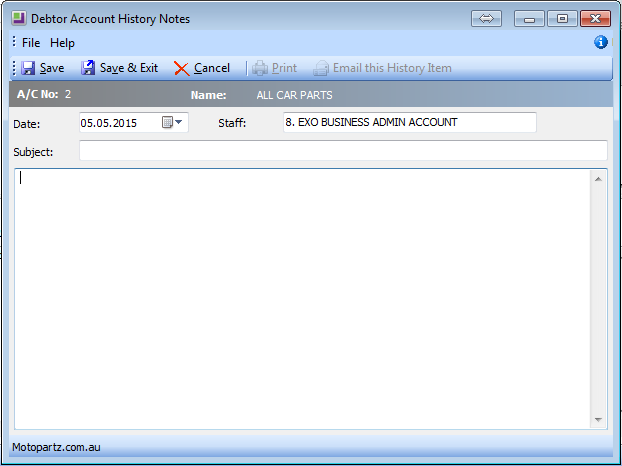 You can create, edit, delete, print or email history notes depending on your user profile. 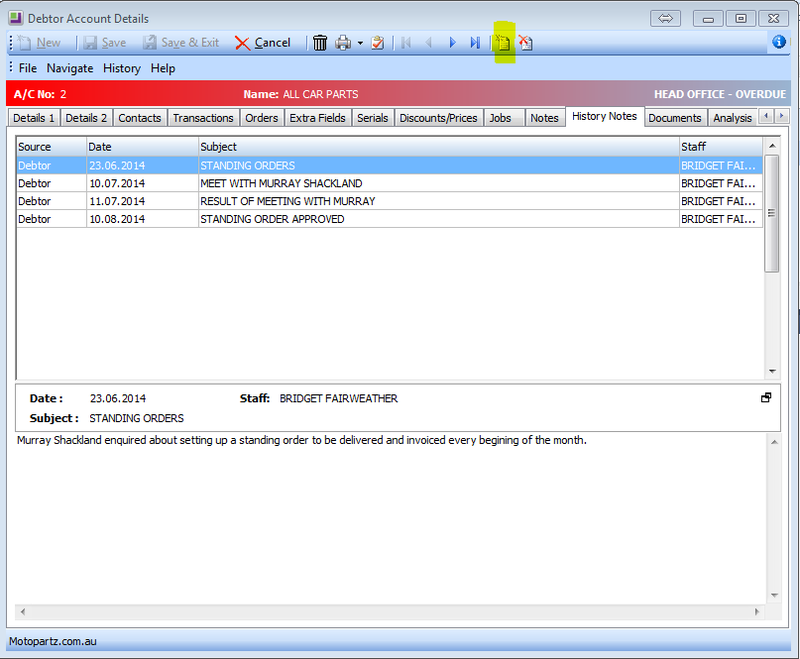 These sorts of often repeated comments can be stored in EXO and selected from a list when required. 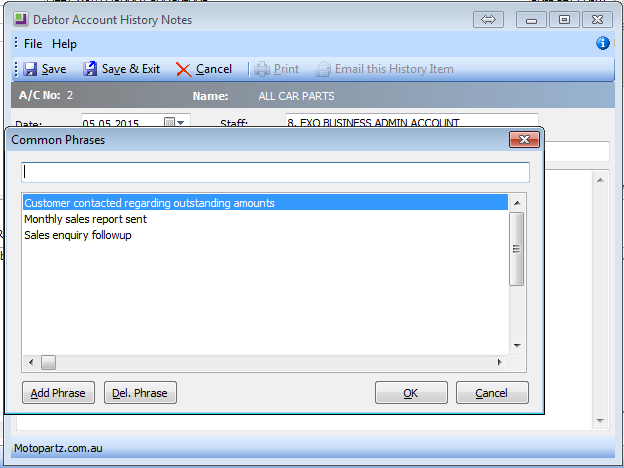 This will open a “Common Phrases” window that lets you enter new phrases or select from a list of phrases you have previously stored. Select a phrase and click OK.